Travel makes one modest and lets us realize what a tiny place we occupy in the world. Making a travel agency website must inspire people to see more. 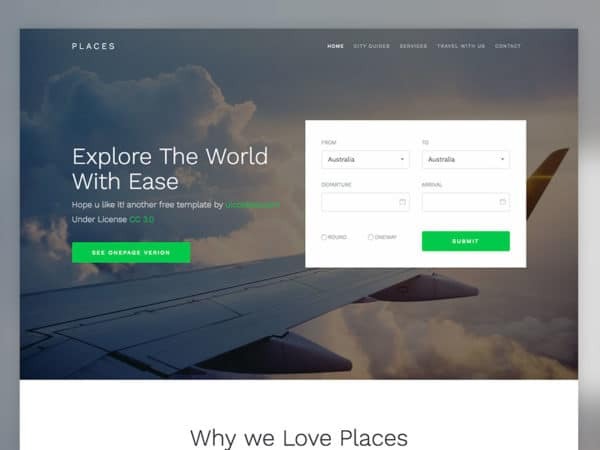 Our travel agency website templates will help you showcase the best travel destination and bring the places virtually to the user. Clear designing let the user know what they get in each package. Ample amount of space is given for the image and video contents to help you show the beauty of the places. Running a travel agency website isn’t an easy job, we have to meet the demands for all types of audience. Some people will be budget oriented, while some want crazy adventures, our advanced search bars with smart filtering option will help the user easily search and find the places they want. Help people discover unknown lands with our travel agency website templates.